Recognizing the need for an online Christian school experience, International Virtual Learning Academy has started a program called Equip. In Equip, students in grades 3-12 will follow a Bible-based curriculum toward earning a diploma. Graduation requirements include Bible courses and service credit in addition to the rigorous academic requisites. Why Do Families Choose Equip? A traditional private Christian school is not an option. If distance or cost prohibits families from attending a brick-and-mortar Christian school, an online option is ideal. Travel or overseas living. Families who travel often or live overseas for work often seek out an online school. With internet access, any location can become a classroom. Missionary and military families are just two examples of those who have found online school to be the best solution for educating their children. Family can choose learning environment. Because of the flexibility of online learning, families can choose when and where their students learn. Scriptural integration. The Bible is woven into each course and a Christian worldview is the prevailing perspective. Teacher support. Each course is supported by a qualified teacher. Each family has a mentor who works directly with them to track student progress and address any concerns. Fellowship. Each Equip student is placed in a fellowship group. Meeting twice a month in a secure online classroom, student fellowship group facilitated by a teacher share and pray with one another. Accredited program. Because Equip is a program of IVLA, students will receive a diploma from an accredited school. What Does the Bible-Based Curriculum Look Like? Equip uses Alpha and Omega’s Ignitia courseware. Ignitia offers core courses in Math, Language Arts, History, Science and Bible as well as a wide range of electives. 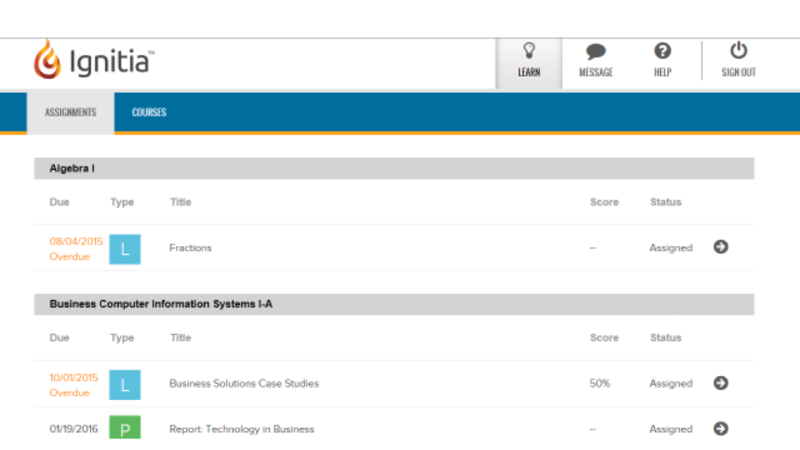 Students have an easy-to-use dashboard which clearly displays assignments and due dates. Lessons use video presentations, practice questions, offline activities, quizzes, and tests to build student mastery. Lessons can be read to students by the courseware to better assist auditory learners. 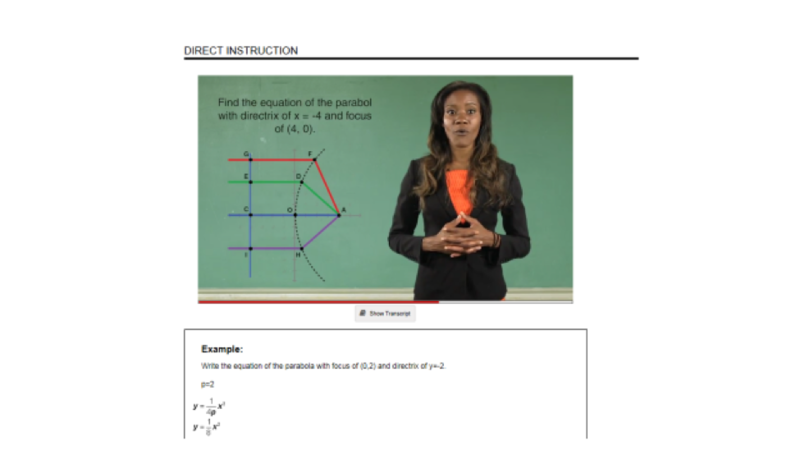 Here is a screen shot from an Algebra 2 course. In this particular lesson, a teacher instructs via video, then students work through examples and practice questions before trying a quiz. Is Equip Right for Your Family? Find out more about Equip or explore a demo of Ignitia courseware. A good fit? Then enroll in IVLA today and ask to participate in the Equip program.